Start receiving T-Shirts, Action Figures, Autographs, Posters, Memorabilia & More today! For the fan in all of us! Sign up by the 4th to get this months wrestling mystery box! 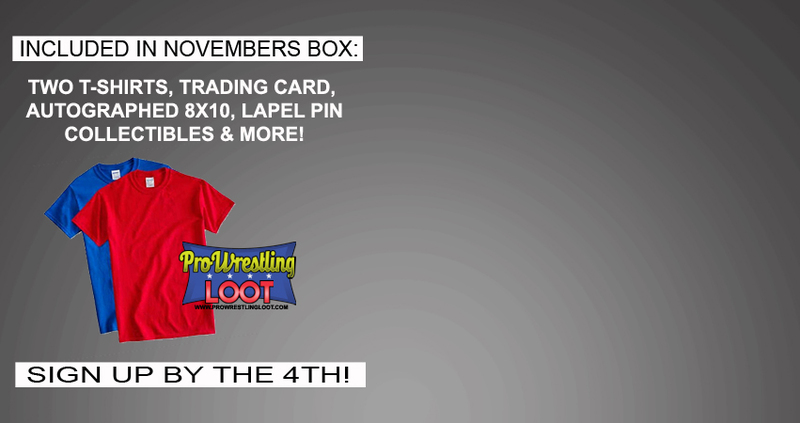 Ensure you don’t miss the latest offerings from Pro Wrestling Loot! What's in This Months Box? Check out our latest loot! Every month we send many exclusive items including trading cards, autographs, toys, posters, t-shirts, banners & more! 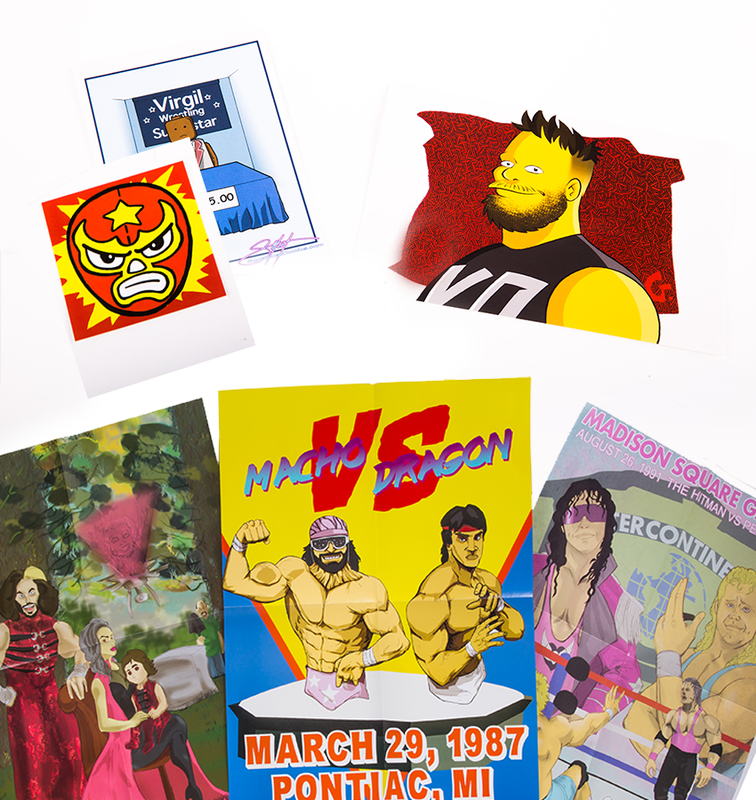 We work with the top pro wrestlers in the World to bring you authentic autographs in each and every box. 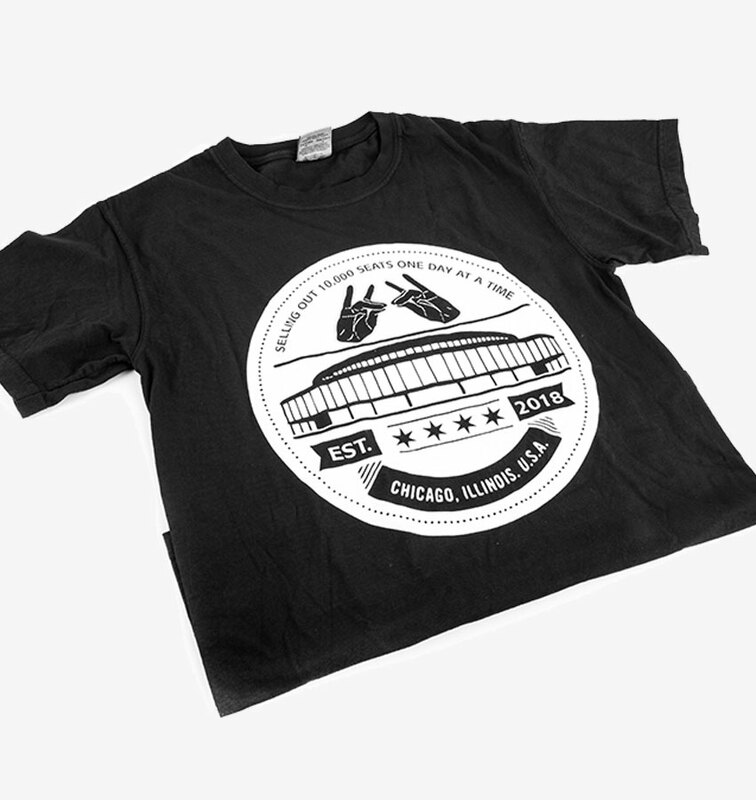 We ship wrestling t-shirts to you in just about every monthly box that goes out! We work with the fines artists to bring you unique original art monthly. 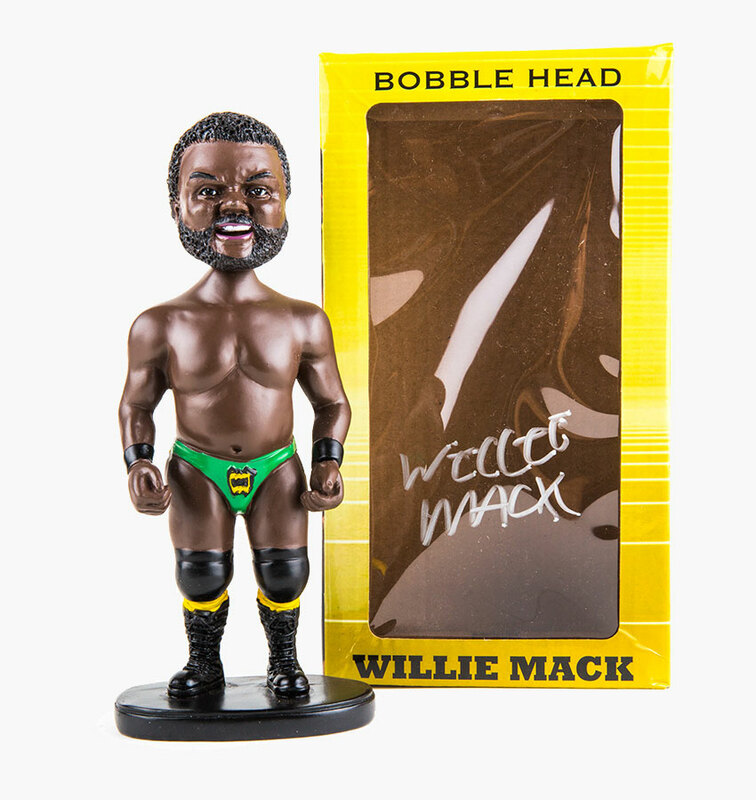 Enjoy exclusive collectibles monthly in our Pro Wrestling Mystery Boxes! Signing up is simple and takes under 3 minutes. You can update your subscription at any time. We have a team that spends weeks putting together each box for you. 3. Enjoy your wrestling loot! Just as thousands of subscribers have, open your new box each month and enjoy! Chyna and Bret Hart autos plus the Harley race 8x ale shirt and this just small sample of greatness Pro Wrestling Loot has sent! OMG! I’m freaking out right now! I love Kenny Omega!!! This box was epic! And for only $20?! Pro Wrestling Loot is the greatest box in the history of our sport. So goodbye and goodnight! At the end of the month I’m ending WWE Slam Crate, Loot Crate & Horror Block subscriptions however, there is one box I’m keeping. Your looking at it!